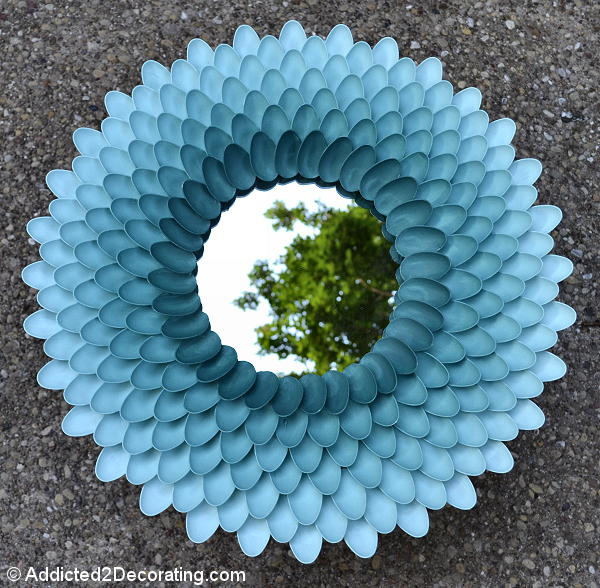 This stunning chrysanthemum mirror was created with a scrap mirror, pre-cut MDF wreath forms, and six packages of plastic spoons! Each spoon was hand-painted to create the ombre effect to mimic the shades of a real flower. Head on over to Addicted 2 Decorating for the full tutorial.